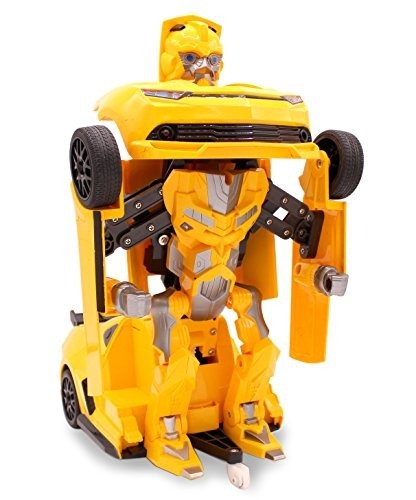 Nueva marca de transformación con accesorios Autobot, controlado por mando a distancia. 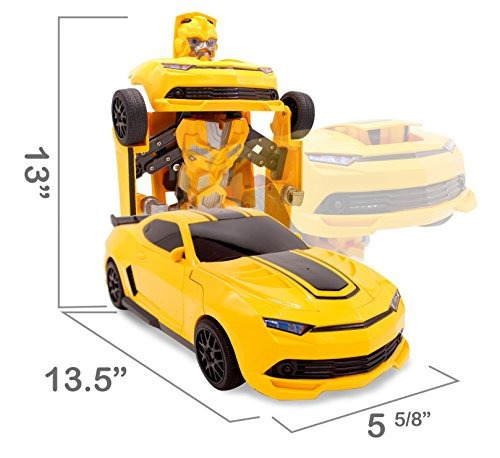 From Transformania Toys, let your kids save the galaxy from evil with their very own kids RC toy car for boys, remote control Transforming Robot Warrior! 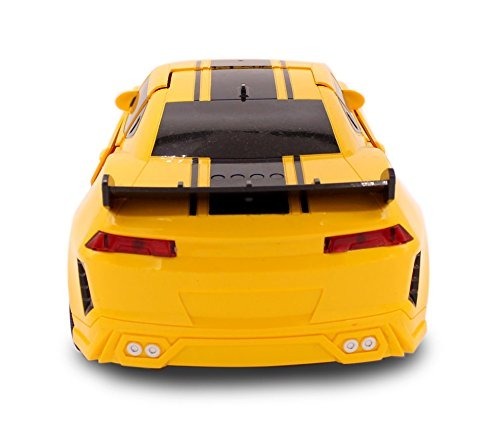 360 degrees spin mode of the transforming vehicle will make your child a champion while fighting in an automobile race with enemies from any direction. 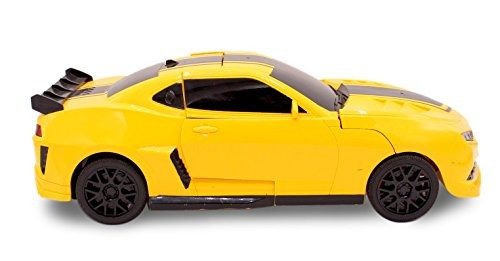 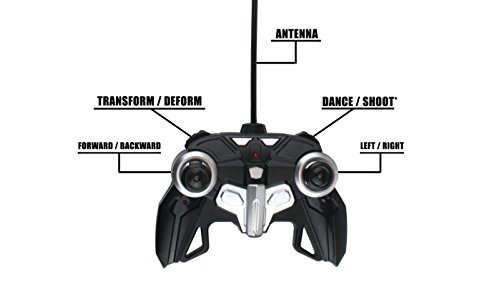 Then with the push of a button, you can easily transform the RC toy from Remote Control Power Car to Robot mode, complete with electronic lights, sounds and dance mode. 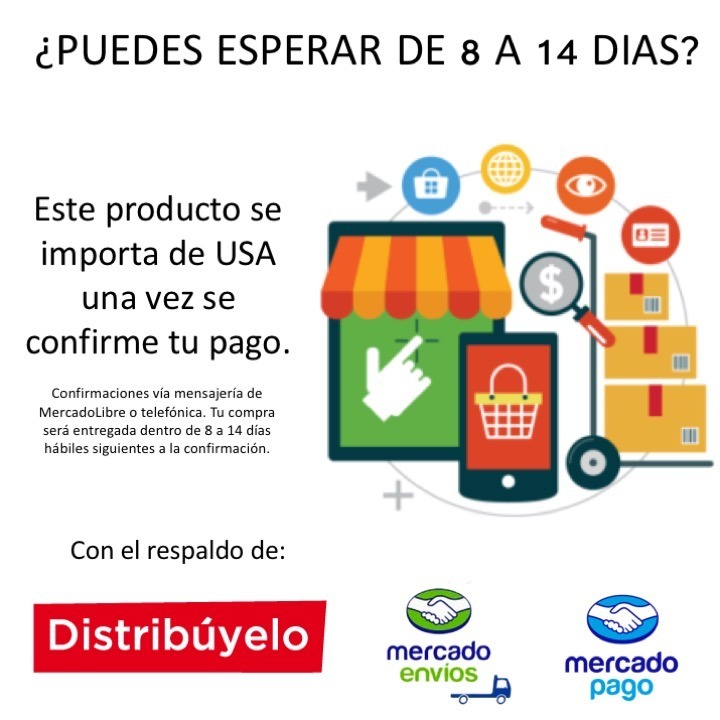 2613 ventas en los últimos 4 meses.